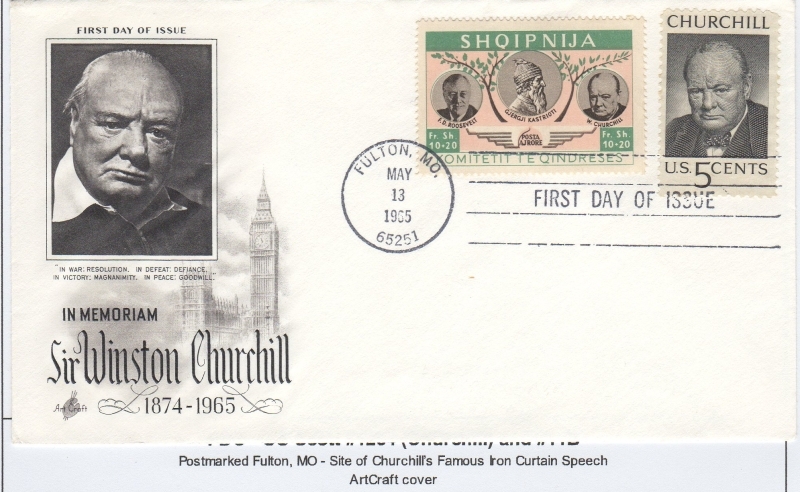 In addition to these previous 4 covers, I acquired another Churchill FDC cover showing Scott #1264 along with Komitetit Te Qindreses #11B (Perf 14). This cover is an “ArtCraft” cachet cover. ArtCraft has been producing covers since 1939 and is still producing them today.